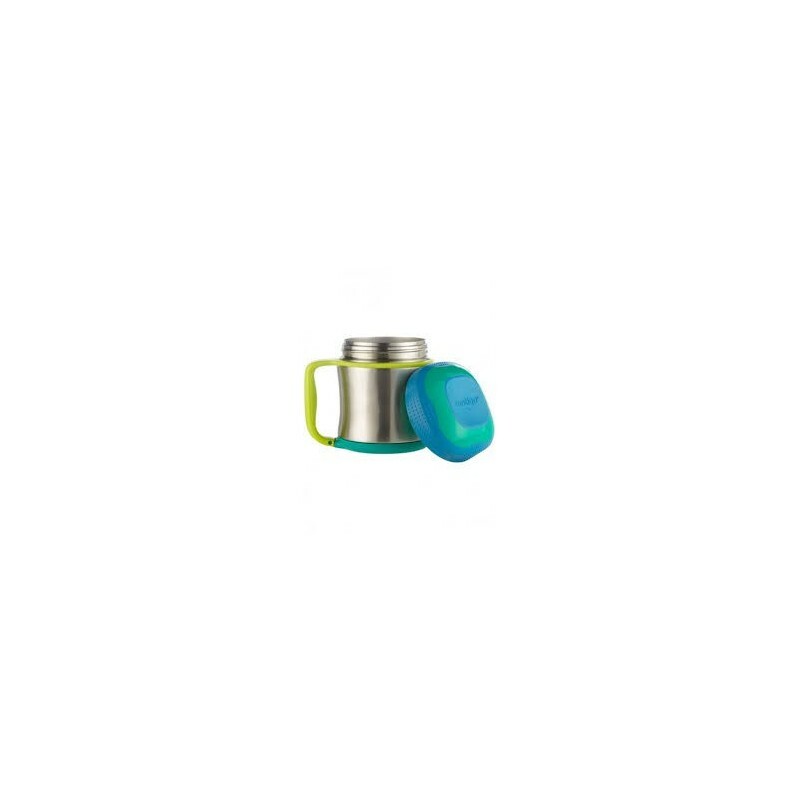 Contigo stainless steel vacuum insulated scout food jar will keep contents cold for 7 hrs and hot for 5 hrs. Perfect for school & work lunches. 100% leak proof easy grip lid & soft grip bottom pad to keep it in place. Sturdy design with carry handle makes it easy and comfortable to hold. 10oz (300ml). 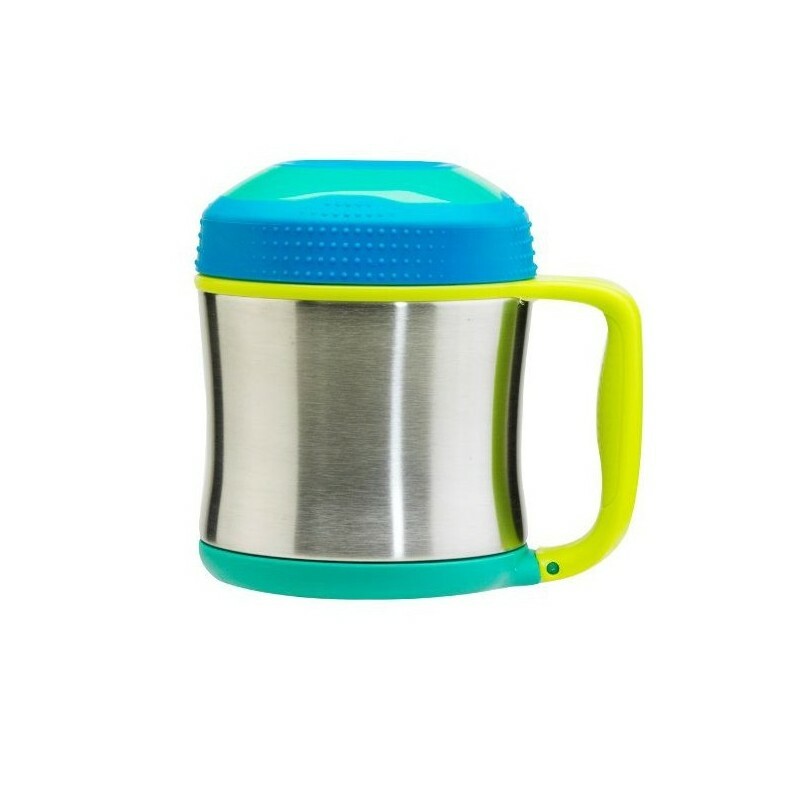 BPA free, dishwasher safe. Contigo water bottles and travel mugs are sleek and highly functional, simplifying an active on-the-go lifestyle. Perfect for soups, pasta, yoghurt, fruit and more. Vacuum insulated stainless steel keeps food hot for 5 hours or cold for 7 hours. Sturdy design with carry handle makes it easy and comfortable to hold. Silicone soft grip base helps insulate against dropping on hard surfaces. Suitable for age 4 and over. Consuming less over time: reusing quality containers instead of buying disposable plastic saves resources and pollution. 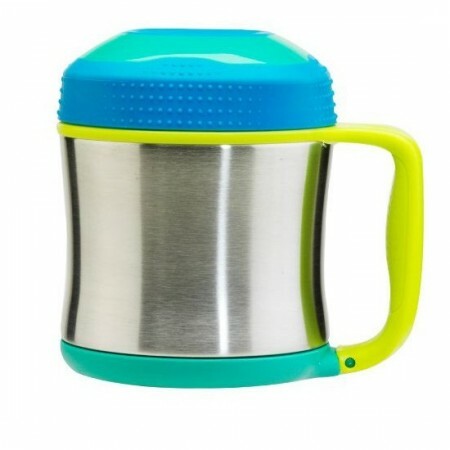 Holds 10 oz or 300ml. 12cm H x 10cm W (not including handle - add 3cm to include handle width). Browse our other insulated food jar options. Daughter is able to take to school and have the exact food that I send as it’s been prepared. Wide to access mouth for food as a drink or spooned.Very durable as it gets banged around . Lid remains shut securely. This is one of the only food jars with a handle. For kids who eat school lunches picnic style on the floor, the handle makes it much easier for them to eat soft foods like soup without spilling. The gender neutral colours are great too.